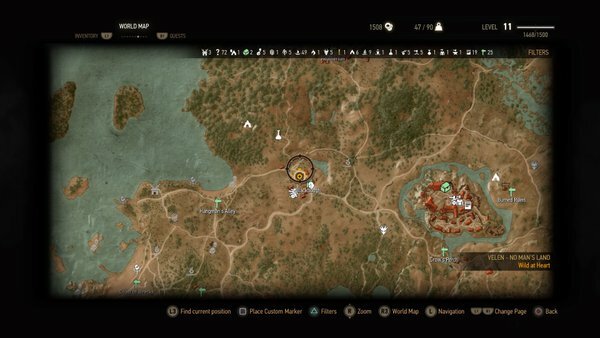 - You can get this secondary quest shortly after arriving in Velen. It’s available on the Mulbrydale Notice Board, despite the quest’s description, and it will send you to the village of Blackbough, to the west. - The petitioner, a guy named Neillen, is standing outside one of the central huts. Speak to him for a description of what’s going on. You’ll be pointed out in the woods, but you can ask around town before you go first. Speak to Glenna, across the street, and some kids down the street for more details. Ask as many questions as you get. - Leave town and head northwest, into the forest. (If you’ve completed the quest Family Matters it’s the same forest as where you assisted the Pellar - just further north.) There’s a band of Wolves in the south of the circle of interest here; kill them off for a cut scene. - During the cut scene you’ll be approached by Margrit, Niellen’s sister-in-law, and she’ll ask you to tell Niellen that his wife is dead; agree and she’ll give you 55 gold. Speaking to Niellen will end the quest. 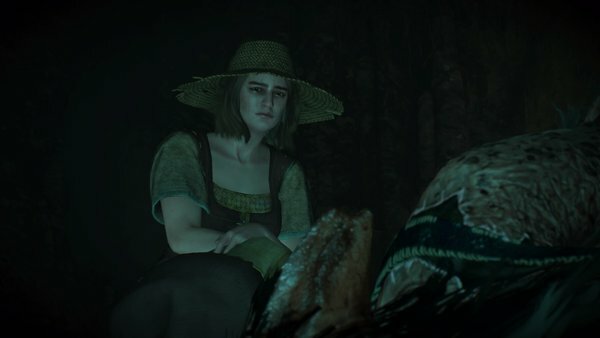 - Whether you accept or not you can, however, continue going with this quest, and you can start by using your Witcher Senses to inspect a nearby dog corpse. The next tree over has a corpse, likely Hanna’s. - Large claw marks a short ways north lead up a tree and out of sight. Near the base of this tree you can find a tuft of fur with a scent attached. Follow the scent and, once the quarry comes down out of the trees, you’ll see a house in the distance. Approach the Isolated Shack and poke around inside to find Mysterious Notes beside the bed, then look beneath it to find a locked door. Blow it open with Aard. Be ready for a fight inside. Ferocious. The Werewolf is a tough opponent, with swift claws and quick, springing movements. It also regenerates once it reaches half its health, and if you’re at a low level its healing can outstrip your damage capacity. Cursed Oil and other potions can help in this, as will using Igni to stun it so you can get in a long chain of hits. Backing the Werewolf into a corner can help with dishing out a lot of pain in a short period of time. The Werewolf is accompanied by several low-level Wolves, though they pale in comparison, and should be fried quickly with Igni bursts. Let the Werewolf kill her. It will then allow Geralt to mercy kill it. The quest will end and you’ll find Niellen’s Key on its corpse. Stop the Werewolf. You’ll continue the fight where you left off. Take out that final smidgen of health. The quest ends, and you’ll again find the Key - though it will also have other, normal Werewolf loot on its body, a small boon. - Before leaving the area, check the cabin. It contains an appreciable amount of loot, and the Key will open a chest in the bedroom with yet more stuff to steal.